It will be very unusual and original to decorate the table of newlyweds or guests, especially with balloons. Some flowers and green can be added to this decoration. This package includes: - organic balloon garland. The price is indicated for 1 meter, excluding the green leaves. 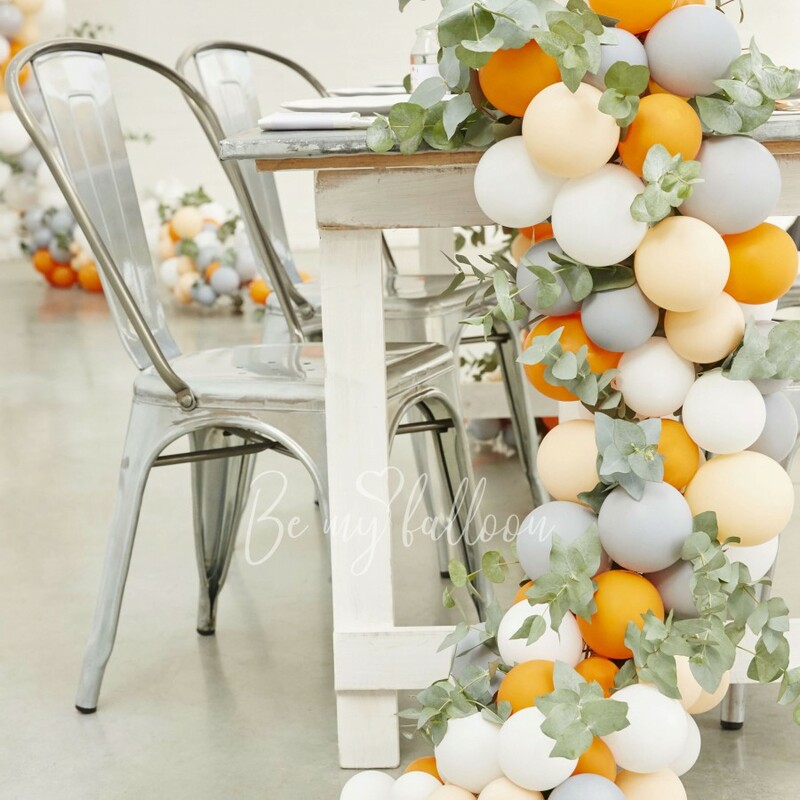 Organic garlands are very unusual and can become an original decoration of your wedding. Eco style becomes very popular nowadays, and this trend is also used in weddings. The decoration of a registration zone is highly important because a registration is one of the most important part of the wedding.